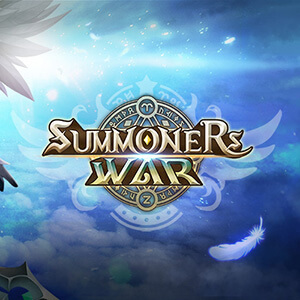 Summoners War: Sky Arena, created by South Korean game developer, Com2Us, is a mobile turn-based strategy MMO. Players assume the role of a summoner, opening scrolls in order to acquire monsters to fight in battle. Newly summoned monsters can range from a 1-star grade to a 5-star grade, with 4 and 5 star monsters being the rarest. 5 star monsters have about a .5% chance to obtain from a mystical scroll. 4 star monsters have about an 8.2% chance to obtain from a mystical scroll. 3 star monsters have about a 91% chance to summon from a mystical scroll. Using monsters in battle raises their experience level, and they can be evolved to a higher star grade, with the maximum being a 6-star grade.